Hindustan Coca-Cola Beverages Pvt Ltd today announced appointment of Rohit Gothi as its executive director market operations. 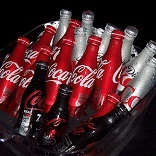 NEW DELHI: Hindustan Coca-Cola Beverages Pvt Ltd today announced appointment of Rohit Gothi as its executive director market operations. Gothi will directly oversee all field operations of the company encompassing all front-end operations, including the seven operating zones, alternative engines of growth (bottom of pyramid, online and alternative beverages) and national key accounts (excluding bulk water), the company said in a statement. "Rohit Gothi has been inducted into the HCCBPL talent pool to strengthen the sales system and accelerate growth opportunities in India," Hindustan Coca-Cola Beverages (HCCBPL) Chief Executive Officer T Krishnakumar said. "In the role as executive director marketing operations, Rohit will be responsible for all the front-end operations and focus on building profitable revenue growth." Gothi will assume the new responsibility effective July 15, 2014.